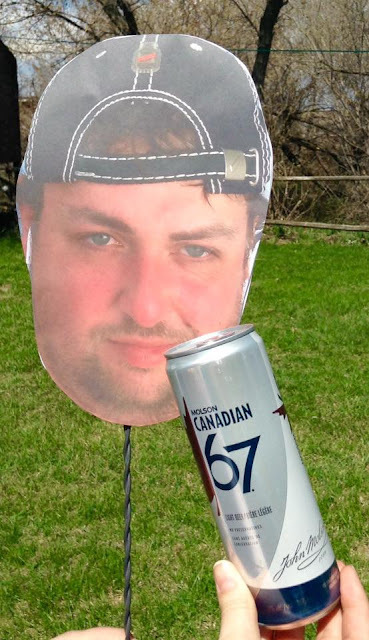 Yesterday was the 2018 Canadian Brewing Awards and Manitoba did quite well this time around! Congratulations to all the breweries that won, it's a great time to be a craft beer drinker in Manitoba! 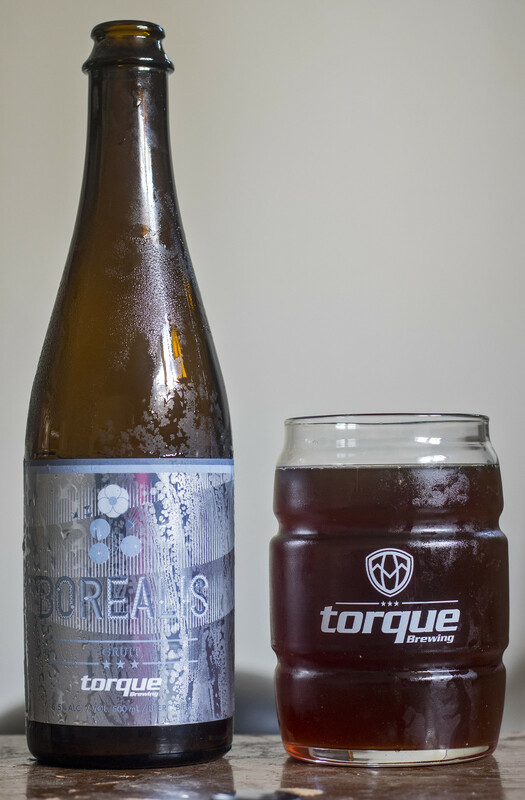 Torque sent me an awesome care package a while back featuring some swag and a bottle of their now-award winning Borealis Gruit. Quite awesome of them to do that! 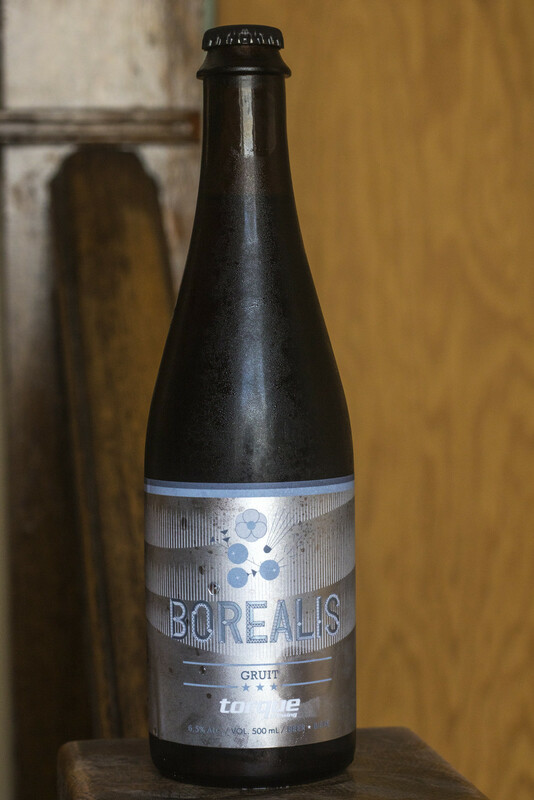 Borealis was brewed for International Gruit Day, a new one day event to pay homage to the old, ancient styles of brewing that brewed with herbs and spices instead of hops. Their good friends over at Beau's created the festival this year, and I think that it's going to be something we'll see every year! 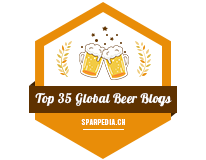 Breweries from Canada, United States, Australia and Europe participated in the event. Prior to trying Beau's Gruit for the first time two years ago, I never knew what a Gruit even was. 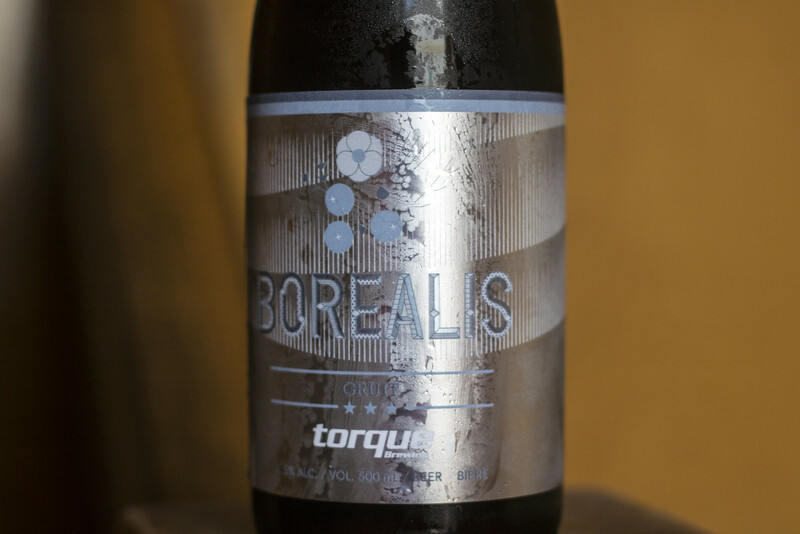 Torque's Borealis Gruit is simply described as a traditional Gruit made with spruce tips, lavender, juniper berries and yarrow. 6.5% ABV. Appearance: It's slightly murky but more of a dark brown body with a bit of a cherrywood hue to it. There's only a faint amount of carbonation in the body.. and as for the head, it starts off with approx. one finger's worth of beige head only to diminish to only a small right alongside the glass. Aroma: The second I opened up the bottle, the scent of flowers, herbs and spices hit me pretty hard.. and it was reminiscent to all the Beau's Gruits I've tried over the years, which is definitely a good sign! I get an aroma of rosemary, juniper, spruce, and tree bark. This is moderately sour and has a bit of that floral "fresh from the laundry" smell.. which is attributed to the lavender. Taste: It has a good deal of sour presence to it, yet the sourness diminishes almost instantly to leave behind a medley of different flavours. I'm getting lavender, juniper, a hint of cherry, spruce, rosemary, a hint of a grassy presence. This is quite dry and leaves behind a moderate sour cherry presence to it.. which I know that I stated the sourness diminished immediately.. but the more I sample it, the sourness is definitely wanting to linger around. Oh, last thing I forgot, once in a while I get a bit of an earthy, coffee flavour popping up.. especially if I haven't had a sip in over a minute or two. Overall Thoughts: This could get labeled as a Sour rather than a Gruit and I'd believe it. This is quite a sour (juniper/cherry) beer with a good herbal presence to it. I hope Torque brings this beer out again, even if only at the taproom itself - it's a great beer to simply enjoy and savour. 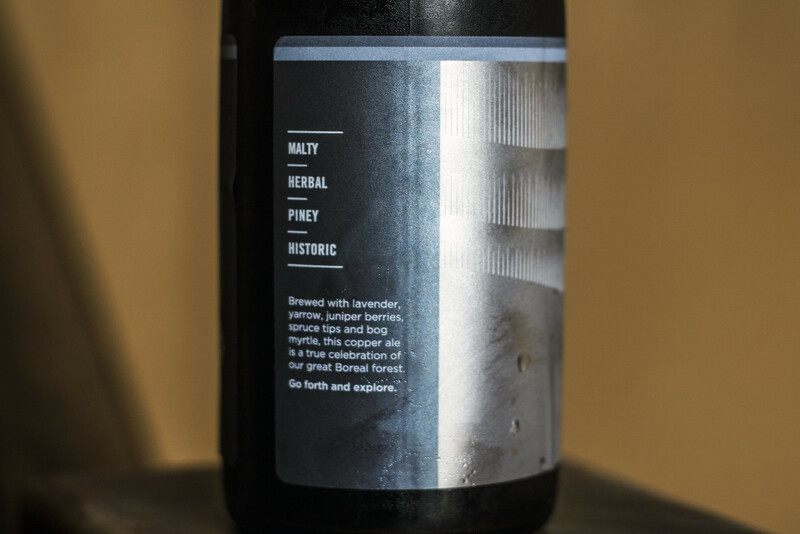 Definitely worthy of being listed as one of the International Gruit Day Gruits!